Gutters can easily get blocked up with soil, silt, leaves, pine needles and other natural debris we can safely clear out your gutters and make steps to avoid this happening in the future by installation of balloon caps. 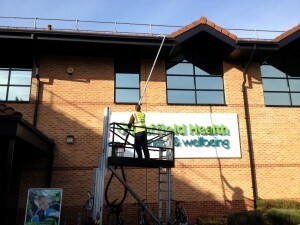 Using a professional wet vac and pole system we can quickly and easily get the job done. Green or black algae can also turn an otherwise bright looking gutter system unsightly. 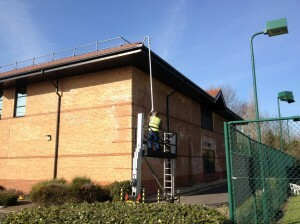 We can bring back the sheen to your guttering leaving a shiny finish. Using a detergent wash we buff your system by hand giving great results. If you are interested in having your gutters cleaned, give us a call on 07592 589484 or fill out our enquiry form to get a quote.